Weight is an important factor in EZ Horse Betting. The weight a horse carries in a race matters. What many handicappers don’t know is that the kind of weight a horse carries can actually be more important than the amount. When a jockey is too light to satisfy the weight a horse has been assigned to carry in a race, weight must be added in the form of lead plates. A horse carrying dead weight can present some nice betting opportunities. Each horse in a race is assigned a precise amount of weight to carry. The Scale of Weights is determined by the Jockey Club for various races. In a handicap race, horses may be assigned varying weights based on their abilities. The most talented horse will be forced to carry the most weight. There are two types of weight a horse carries in a race. Live weight is the type with which most people are familiar. This includes the jockey and the jockey’s racing tack. An average weight for a jockey would be 112 pounds. Tack weighs an average of four pounds. So, most live weight averages about 116 pounds. This can change. Many races permit horses to carry slightly more than 120 pounds. What this means is that the 112 pound jockey can add a few pounds. In reality, a lot of jockeys weight around 118 pounds on a regular basis. That gives them room to go up and down as required. When a jockey is underweight for a specific race, lead pads must be added to the jockey’s saddle. This is called dead weight. Dead weight presents a greater burden for the horse. It sits right in the center of the horse’s back and does not move. This creates drag and can create more fatigue than a rider who moves his or her weight fluidly with the horse. If you can identify which horses are carrying dead weight and penalize them in your handicapping, you will have a small edge that other horse players do not have. That small edge can make you a winner when you bet horses online. Before you can gain this edge, you need to know how to calculate the live weight a horse is carrying in a race. One of the great things about betting on horses is that bettors are presented with a wealth of information. As a matter of fact, this information must be released to the public under the general rules of racing. You can find all of the information in a copy of the Daily Racing Form. You can also use a service like Brisnet to obtain past performances. If you want to calculate the live weight of a jockey you need to know how much a jockey weighs. This is a pretty simple matter. Each race will have the weigh a horse is assigned to carry listed in the past performances. So, you note that today jockey Joe Talamo is riding a horse in the first race who is slated to carry 122 pounds. Remember, tack weighs approximately four pounds. This means that Joe tips the scales at 118 pounds today. But wait! Before the races begin an announcement is made which lists the overweights in each race. Jockeys must weigh in before each race card. This announcement will be also available at online racebooks. You see that the horse Joe Talamo rides in the first race is listed as two pounds over. This means that Joe is two pounds heavier. He actually weighs 120 pounds. You need to create a small notebook in which you will note the weights of jockeys on a given circuit. One you are able to determine how much they weigh on a regular basis, you will know when a jockey cannot make weight and is forced to add lead pads to his or her saddle. A couple of things to remember here. You need to mark the weights of jockeys in pencil because they can change from day to day. Also, do not confuse an overweight with a corrected weight. A corrected weight is used when there has been a change of riders. Now that you have your list of weights, you’ll need to perform some basic math and understand the theory of equivalents. What is the Theory of Equivalents? Statistical research conducted by the creator of the Dead Weight Horse Race Betting System, Conal Brady, has demonstrated that carrying four pounds of lead at a distance of six furlongs will reduce speed by 1/5 of a second. Now, that might not seem like much but it is significant. It can more than make the difference between a winning effort and a losing one. Using a theory of equivalents, it is now possible to assess the potential impact of dead weight on a horse’s performance. Here is the method that Conal Brady proposed in his method that was published by The Gambling Times in 1984. Step One is to add a zero to the speed rating of each horse in a race. For example, a speed rating of 98 becomes 980. A rating of 87 becomes 870. Step Two is to penalize horses for the dead weight they carry today. You will use your list of jockey weights to determine how much dead weight is carried. At six furlongs, subtract four points per pound. At 1 1/8 miles, subtract eight points per pound. So, if a horse is carrying four pounds at six furlongs, you would subtract 16 from 870 for a total of 854. Step Three is to re-credit the horse if it has carried dead weight in the past. Add the amount of credit back to the previous total. So, the horse carried four pounds in its last six furlong race. You add back 16 to reach a total again of 870. Be sure that you are only considering races at the same distance when you are adding back credit for a horse. You know have a speed rating that has been pared down to a single number that is adjusted for dead weight. To be precise, Brady’s original method includes a few more steps that are best reserved for the experienced handicapper. For the beginner, the above three steps will suffice. Your job is to bet the horse with the best speed rating. Did you know that you can watch and wager on horses from home when you sign up at our recommended online racebook? 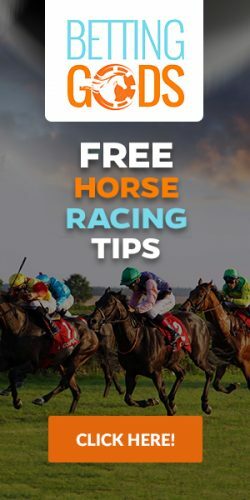 It only takes a few minutes to create an account, and you’ll get a nice welcome bonus to help you get started with EZ Horse Betting.